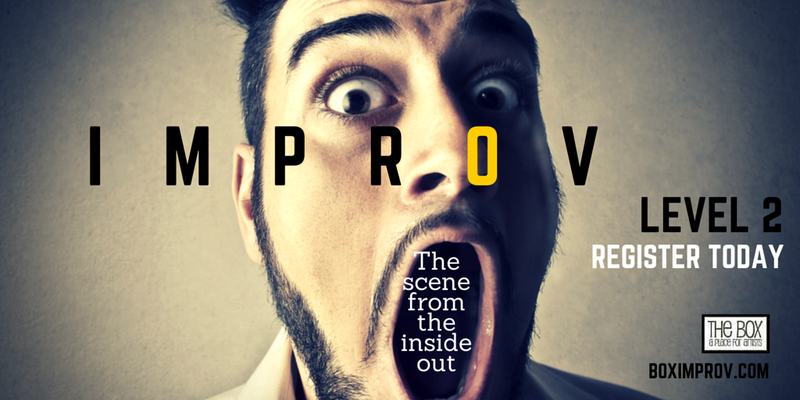 If you’re a big fan of watching improv, it’s time you got into the act! Get ready to have a blast! There are guidelines that can direct the performer toward success. These classes offer an array of skills that include supporting others, character work, listening, teamwork, story building, scene work, and the basic elements of comedy. At The Box, students will learn these fundamentals of acting in a supportive, fun-loving and nurturing environment. Instructors, times, dates, and locations are subject to change. All sales are final. If you like being around positive people who like to have fun, then this is a great place to meet new friends who share your taste in comedy. In addition to a healthy dose of laughter you’ll also get your exercise, because improv class involves physical activities, group games, and scenic elements. 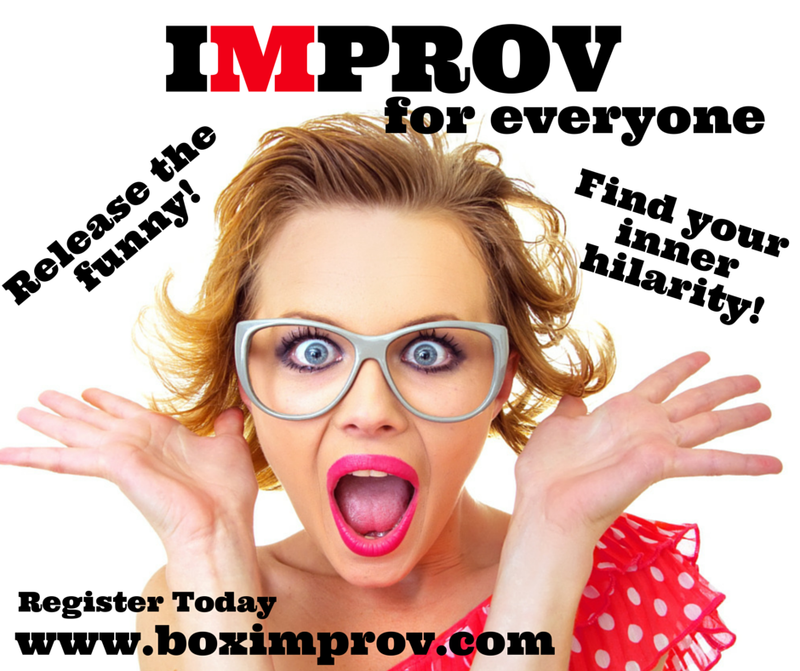 Come discover the quick wit and hilarity of improvisation. Hone your performance skills, learn to trust your teammates and instincts, and feel totally confident on stage. Come explore just what makes some people so hilarious and unleash your funny side. Adult Improv II-Focuses on 2 person scenes. Adult Improv III-Focuses on pattern, game, and performance. The Box Theater Harassment Policy:We hold it our priority to protect our students, performers, instructors, leaders, and staff by providing a safe and supportive environment ready for collaboration. We will not allow for the exploitation of any persons in any way in the rehearsal or performance spaces, classrooms, workshops, auditions, community events or any other events/spaces represented by The Box Theater students, performers, instructors, leaders, and staff. We expect all students, performers, instructors, leaders, and staff to respect each other within these environments- creating a safe space where trust is the foundation. The Box Theater reserves the right to remove a student, leader, teacher volunteer or player from our space and community if they behave in any way that is physically or emotionally harmful to another. Can you post your 2014 schedule for beginners classes. We have an Improv For Everyone class starting this Monday. You can register through this website. When does your next session of level 1 improv start? Our Level I class kicks off this Monday. You can register through this website. This is exactly what I’d love to join as soon as I get to Sarasota (driving to Tampa is no problem at all). Will you be having any Level 1 classes in May? If not, when would your next entry level class start? Thanks a lot! Our Improv For Everyone class kicks off again this Monday. You can register on this website. I would just like to know when your next Level 1 improv class starts. When will your next improv for everyone level 1 class begin? I hope there’s more before the year is over! Are you guys going to have another beginners improv class starting soon?